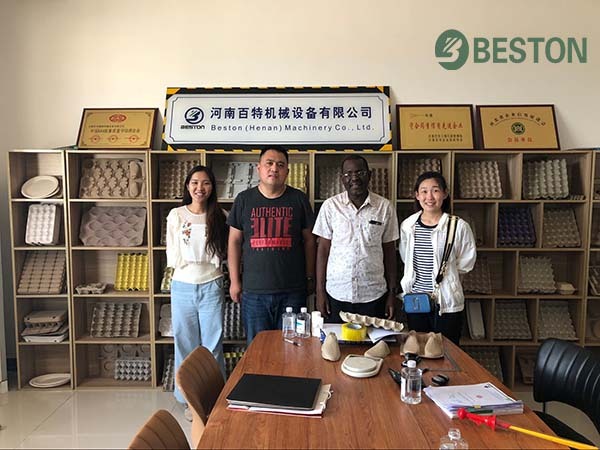 On May 27th, our customers from Nigeria came to the egg tray machine factory of Beston Group. They were interested in our BTF-1000 egg tray machine. After checking the testing egg tray production line there in the company of our sales manager and engineer, they were very satisfied with our products and professional service. And both of us are looking forward to the further cooperation. Recently, we have installed a BTF-1000 egg tray machine in the Philippines. 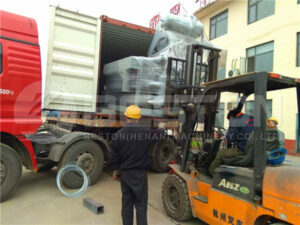 Some days later, we have successfully exported other BTF-1000 egg tray machine to Mali. Why is BTF-1000 manual egg tray machine so popular? Here are some advantageous features of BTF-1000 egg tray making machine. Beston has manufactured egg tray machines for about 20 years and has developed the mature technology. 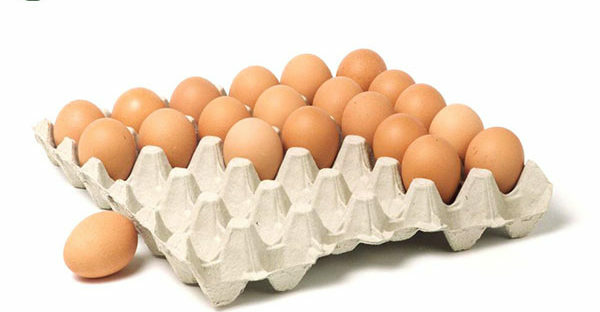 Our entire egg tray production line, from pulp making unit, molding, drying to packing, is getting stable and effective. Low in costs, while quick and high returns. Our egg tray machine price is reasonable, especially manual egg tray making machines, which are cheap in price. While even the smallest one, namely BTF-1000, can produce 1000 pieces of egg trays per hour. Moreover, our pulp moulding machines are multifunctional. 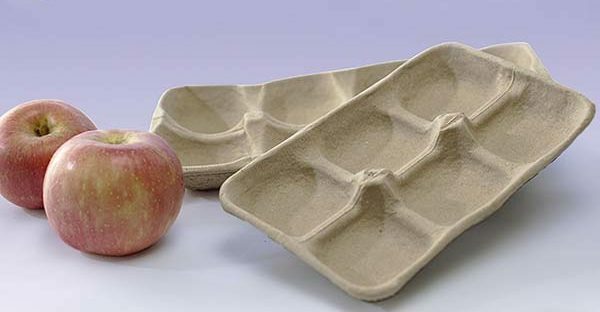 That is to say, you can make egg trays as well as apple trays if you purchase different molding dies. Our pulp molding dies are easy to dismount. In this way, you can save much money to produce various pulp trays. As we know, pulp molding trays are in great demand. Thus, to invest an egg tray making machine is definitely a wise choice. Easy and safe to operate and maintain. Except for the dismountable moulding dies, the whole pulp molding production line is easy and safe to operate, even the manual ones. Since the molding system is the core of the manufacturing line, it is completely automatic. In other words, the machines do the most difficult and important part. Beston has also improved the safety of egg tray machines. Meanwhile, we always adopt the most advanced technology to improve the working efficiency with less energy consumption, as well as the stability to improve the quality of end products. That’s why Beston egg tray machines are of a high admiration. In addition to BTF-1000 small manual egg tray machines, now we have a wide range of pulp molding equipment for sale. Both the design and size can be customized. Besides, we also have manual, semi-automatic and fully automatic production lines to choose. Welcome to send us your requirements!